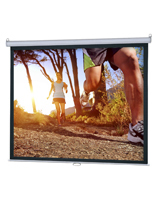 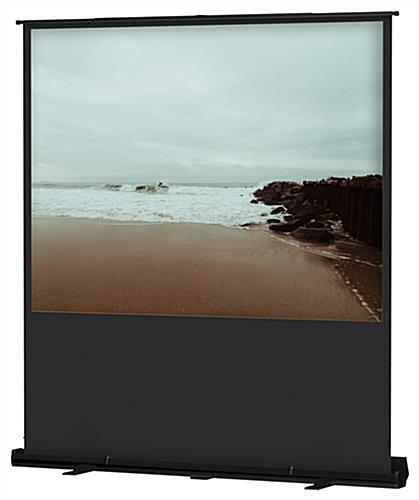 This free standing projector screen is designed for temporary setups such as at trade shows or sales presentations. 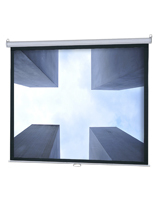 The portable design allows for convenient transporting as well as storage. 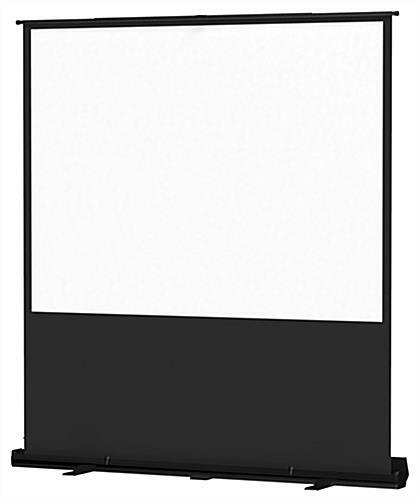 The free standing projector screen features an 80" x 60" viewing area, with the bottom half covered in black fabric to effectively "frame" your presentation. 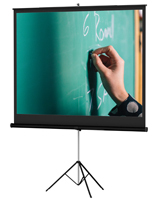 As the video screen is pulled from the retractable cassette, the rear scissor brace assists in supporting it during both raising and lowering. 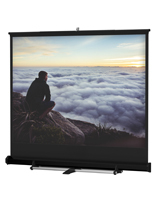 Our free standing projector screen offers extra large viewing capacity within a small footprint. 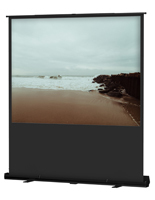 87.0" x 4.5" x 4.5"